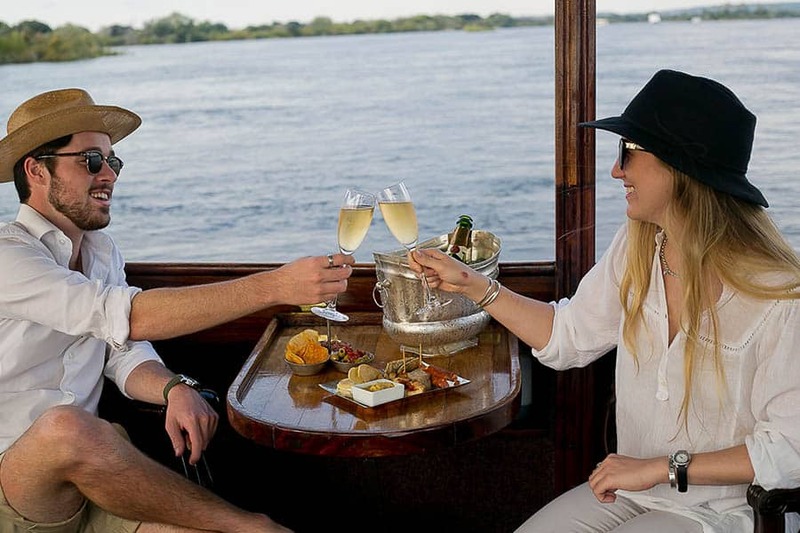 In our (completely unbiased) opinion, a cruise aboard the Ra-Ikane is a must-do for any couple wanting some romance on their trip to Victoria Falls. Our boats are small and intimate, seating only a maximum of 16 people. Due to the table configuration, a couple can have their own small table to themselves. As the boats are monohull and fashioned after a bygone era, they offer a unique and low perspective to the river, allowing you great views of the wildlife on the banks of the Zambezi River. Due to their size, our boats are nimble and the Ra-Ikane fleet can travel down smaller inlets and channels away from the bigger riverboats, ensuring a tranquil and relaxing romantic interlude in your Victoria Falls holiday. 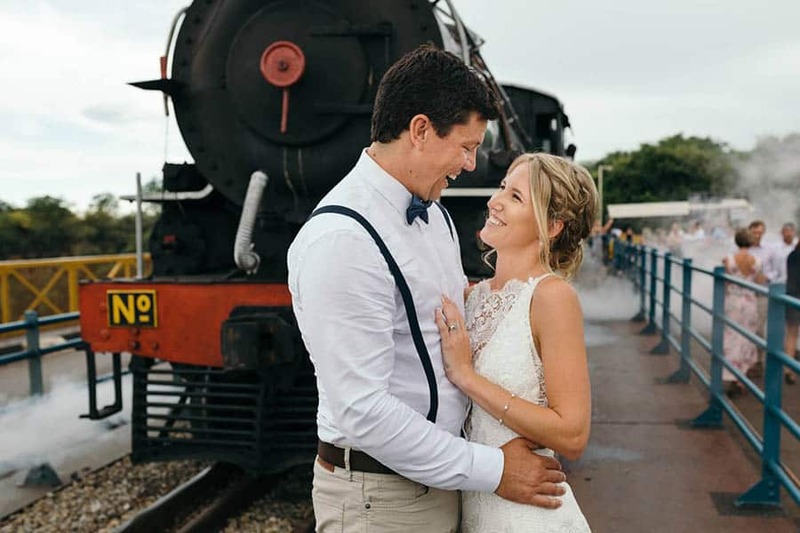 Whilst we can’t promise a trip aboard the Bushtracks Express will end in marriage, taking a ride on a classic steam locomotive across the Victoria Falls bridge is certainly a wonderfully romantic activity. The Bushtracks Express has three carriages: A Dinning Car, a Kitchen Car, and an Observation Car with Steam Locomotive 14A Class 512; built by Northern British Locomotive works in the 1953. It has been lovingly resorted and is pure vintage luxury and takes you back in time to the early 20th century. The train trip takes a journey onto the Victoria Falls Bridge while guests sit in the comfort on the Bushtracks Stately carriages. With the Victoria Falls as the back drop the Bushtracks Express parks on the bridge under the setting sun. It then steams out through the Jafuta conservancy whilst the guests sit and enjoy a five-course meal. Contact our activities desk if you would like to book this activity. There is nothing quite like being way above the world to make you hold the hand of your loved one that much tighter! 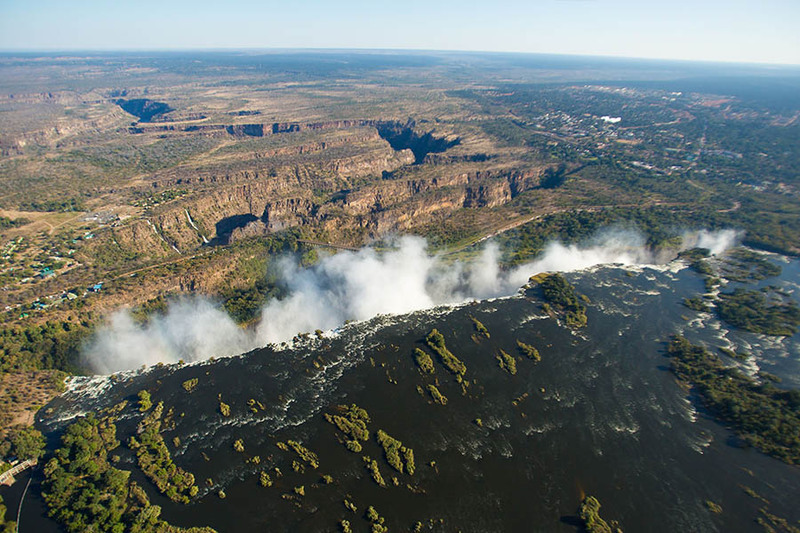 The Flight of Angels is a spectacular helicopter tour over the Victoria Falls. Not only do you fly directly over the Falls so you can see the full strength of the water cascading over, but you can view many miles of the zig-zagging Zambezi River leading up to the Victoria Falls. With only four passengers on most helicopter flights, you can be assured of wonderful views and special memories made. Enquire at the Ilala Lodge Hotel activities desk about booking this flight for you.